Login to view prices, place an order or request free samples. Buy online our clothing and fashion fabric 'Bandiera' Green Silk Crêpe Satin, Made in Italy. Our silk crepe back satin fabric has a beautiful hand and luxurious drape. Sophisticated, enveloping, fluid, sensual, crêpe satin is a very chic fabric. Either the matte or sheen face can be used to create garments that give a sensation of true well-being. The fabric structure lends itself to any cut or style. Suitable for lingerie, evening dresses, skirts, shirts or bridal gowns. 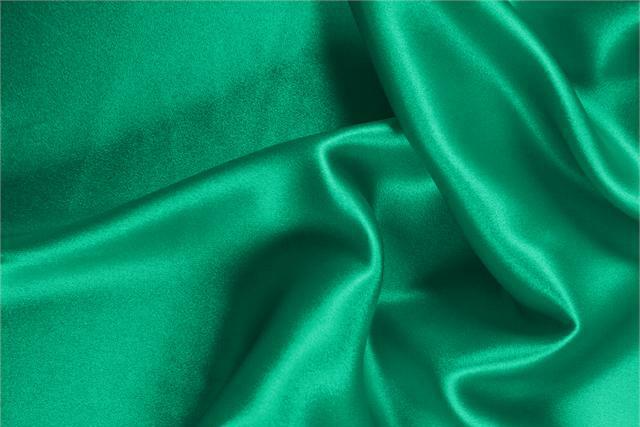 Bandiera Green Silk Crêpe Satin Plain fabric for Ceremony dress, Dress, Party dress, Shirt, Skirt, Underwear.